This winter, while spending some time in Boothbay, I signed up for a cooking class with Eventide's chef extraordinaire, Kim Martin. Eventide is a shop in the center of the Harbor, overlooking Commercial Street, with its entrance just across from Enchantments. It's a specialty food shop (offering many olive oils and vinegars but also numerous other local and international products) that has recently added a bakery and cheese section and will soon be adding a wine cellar as well. Eventide also offers some few baked goods and soups for those who just can't wait to cook up something themselves! I had their sausage and white bean soup and it was delicious. The cooking class far exceeded any expectations I may have had. 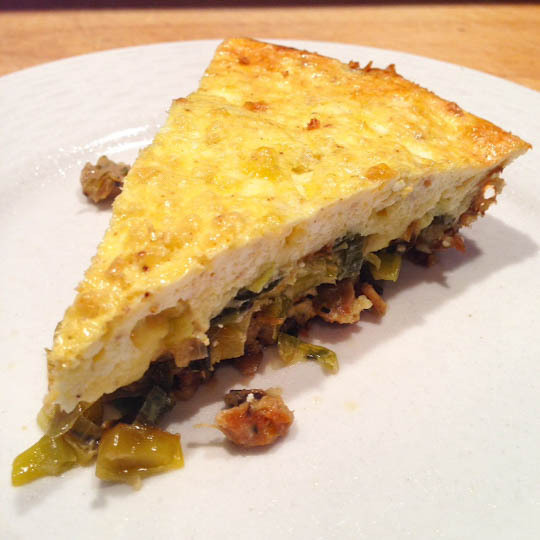 For over two hours, a small group of us prepared four different dishes in Eventide's kitchen that overlooks the water: a Bavarian ham strata, a Persian lime cake with blueberry coulis, a not-your-average cole slaw and my personal favorite, Kim's mushroom crust quiche. You can see some of Kim's fabulous recipes here! We of course enjoyed eating all of our creations at the end of the class, along with tasting some of Eventide's wines. The whole thing cost a mere $20. You wouldn't eat and drink that well in a restaurant for that money, let alone be taught how to cook it as well! 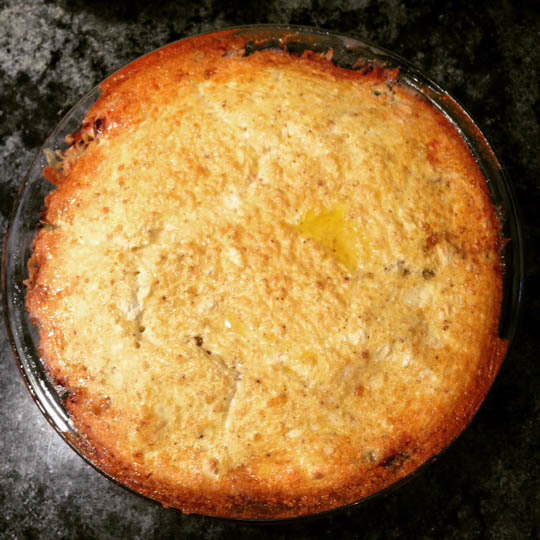 The mushroom crust quiche (pictured here) was so good, I decided to make it the next week for Easter brunch. 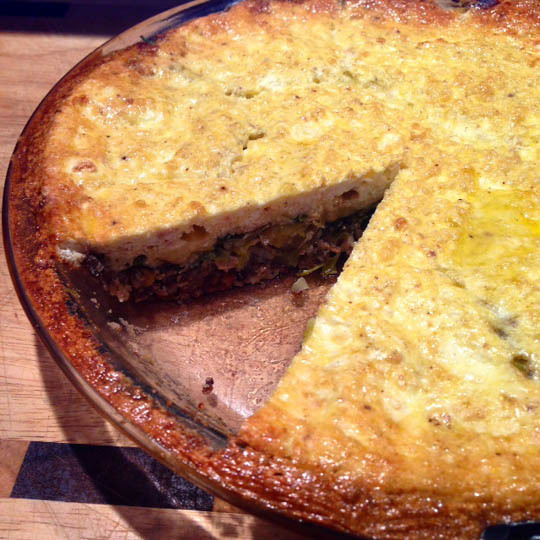 Apparently I wasn't the only one--it seemed half of Boothbay had this quiche for Easter. It was the talk of the town! I encourage you to follow Eventide's news and events blog, and to follow them on Facebook. You can also e-mail eventidespecialties@gmail.com and ask to be placed on their e-mailing list to find out about upcoming classes. If you're not in town during one of the scheduled cooking classes but would like to take a class with Kim, feel free to contact her at eventidespecialties@gmail.com and ask about setting up a private cooking class during your stay. Must Reads: Barbara Ross’s Boothbay Mysteries » « Stay at Portside for the 4th Annual Claw Down!